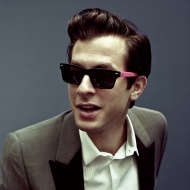 Mark Ronson "Uptown Funk!" con Bruno Mars para su disco "Uptown Special". Escuchar Mark Ronson Uptown Funk! ft. Bruno Mars Lyric Video.